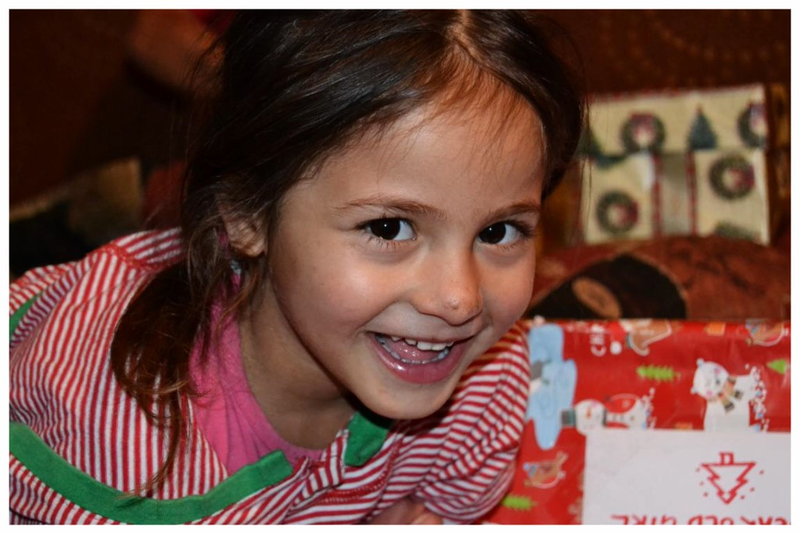 Shoe Box distribution for children who otherwise go without. 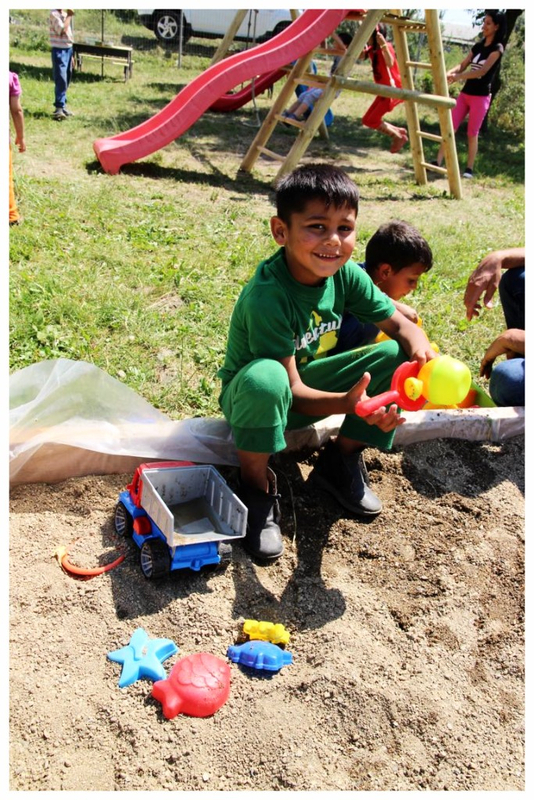 Another year has almost gone by during which we continued our work amongst the poorest and most deprived children of Romania. It has been a busy year so far and it is about to get even more busy! 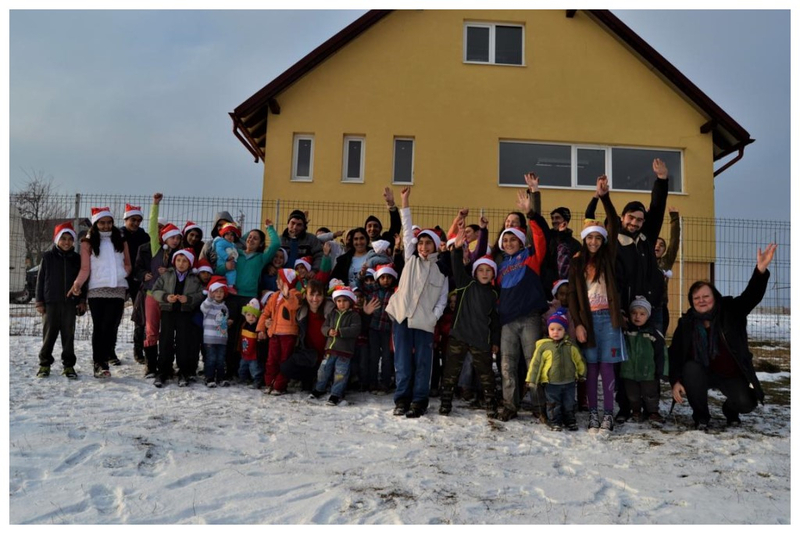 Open Hands Trustee Cees van Hoven arrived safely in Romania with 492 Shoe Boxes, lovingly filled with gifts by sponsors. 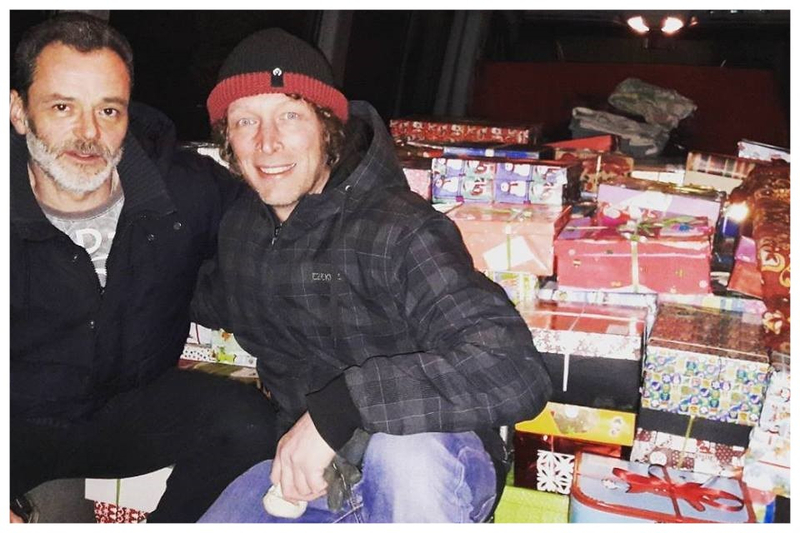 We are now looking forward to giving these Shoe Boxes to children who receive no other presents for Christmas. 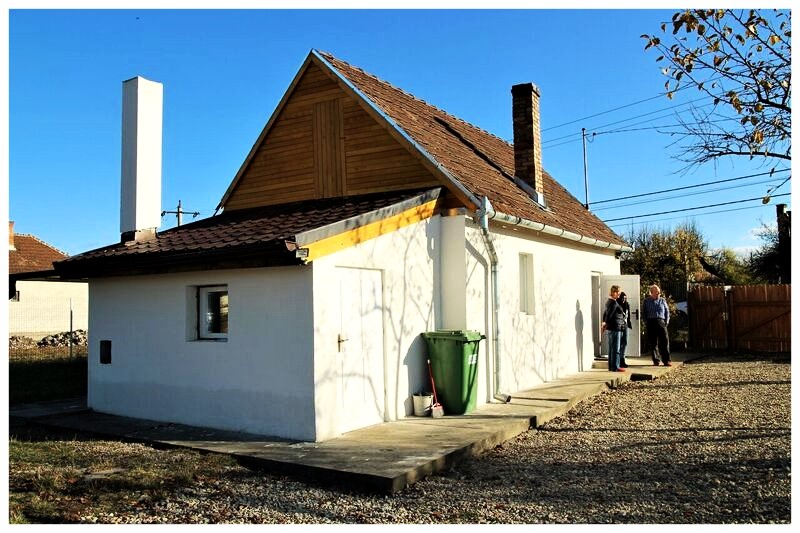 With your donations we were able to renovate our precious Rainbow House and make it safe for the harsh Romanian winter. 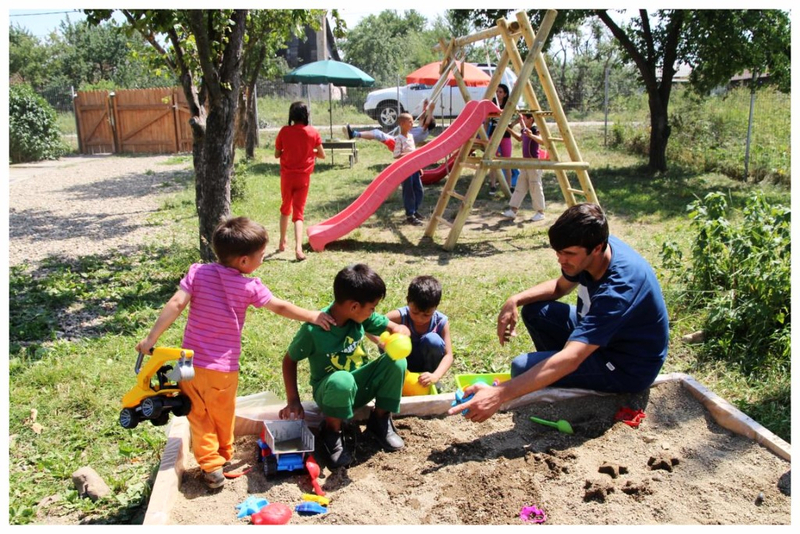 We received a beautiful new playground which the children enjoy immensely. 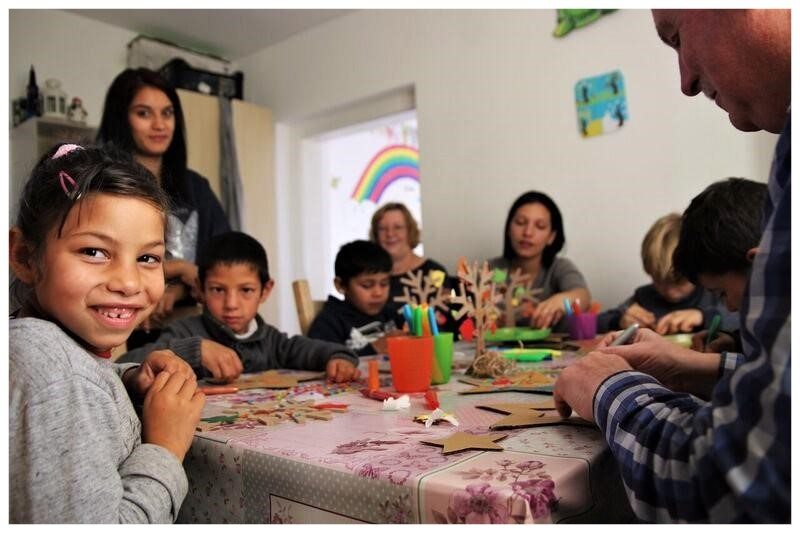 We are able to offer regular, intense support to almost 80 children and their families and the Romanian local authority awarded Open Hands with small grants to improve two family homes. 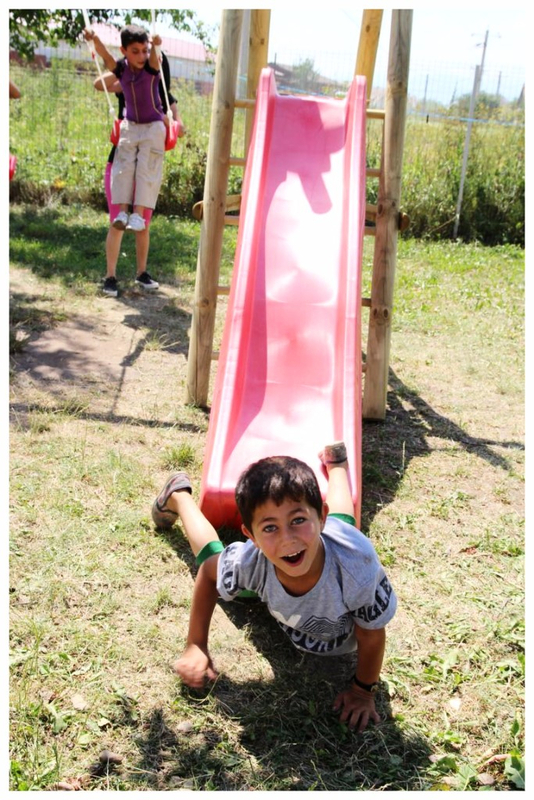 Pictures above: The Rainbow House children enjoying the program and new playground. The newly renovated Rainbow House. 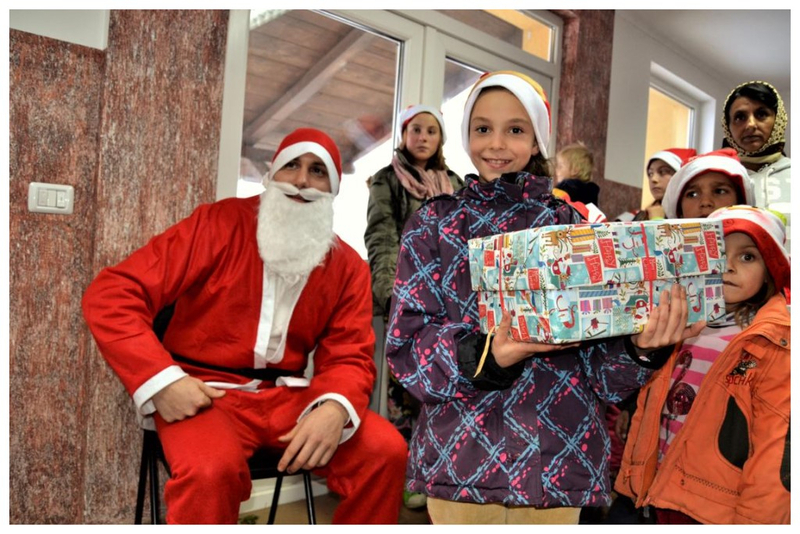 This year, as well as distributing the Shoe Boxes, we would like to give the children a beautiful Christmas party. 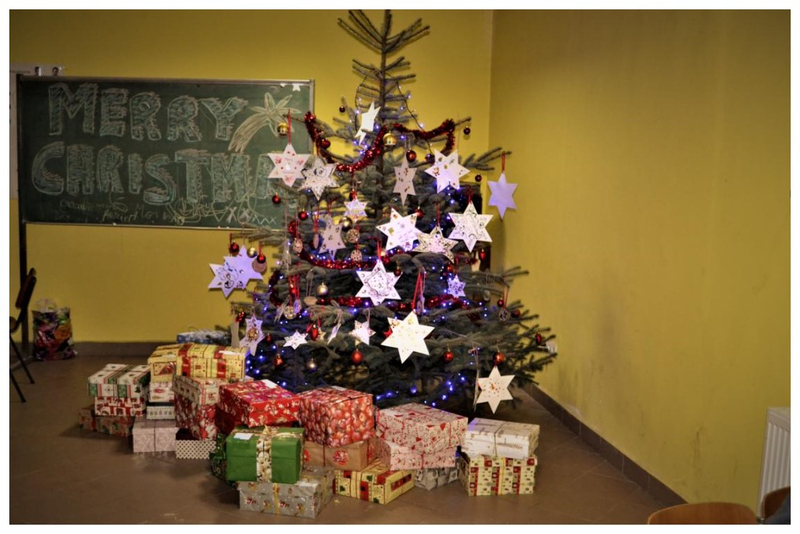 Our Christmas parties are special occasions which the children enjoy very much: A catering service will prepare a three course meal, there will be activities, songs, games and of course a beautiful tree with presents. 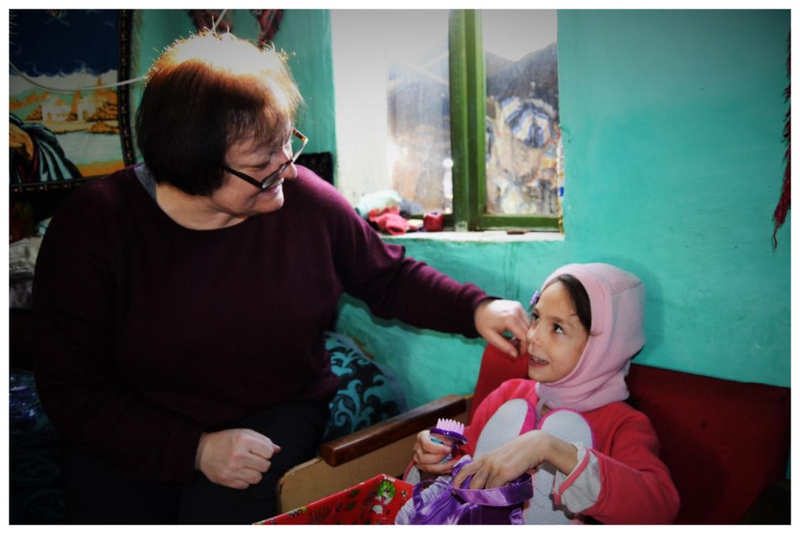 As Christians we want to bring the love of Jesus to the lonely and forgotten people of Romania. We believe that through the power of His love hearts and lives can be transformed. 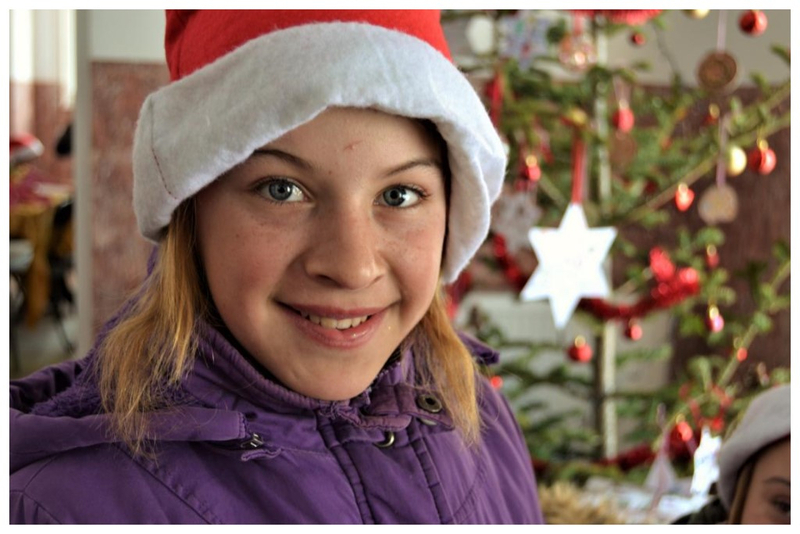 Please enable us to give our children another beautiful Christmas this year by donating towards our Christmas Parties. You can donate securely via our website. 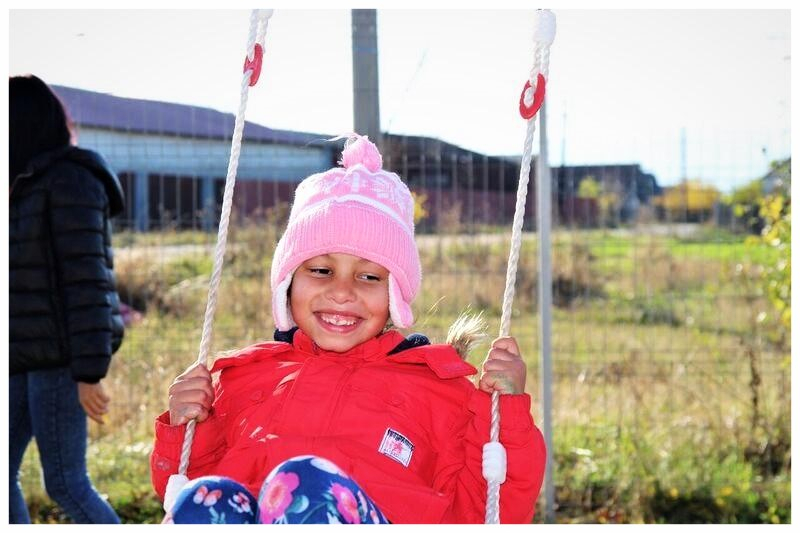 Thank you for your dedicated support and for enabling us to bring much hope and happiness to the forgotten children of Romania.